People talk about "Where I was when ... happened." Until a month or so ago, I'd have said that my first "I remember..." was the Challenger Disaster in January 1986. Most of my generation remembers counting down with Mission Control and watching the shuttle lift off, only to see explode moments later, and American watched dumbfounded as President Reagan spoke that night to comfort a mourning nation, including a unique address made directly to the millions of children who witnessed the horror. However, as I read the opening chapter of YWAM Publishing's Heroes of History Ronald Reagan: Destiny at His Side I began to recall a fuzzy, yet earlier memory, and the stunned whisper that echoed through every home: "The President has been shot!" 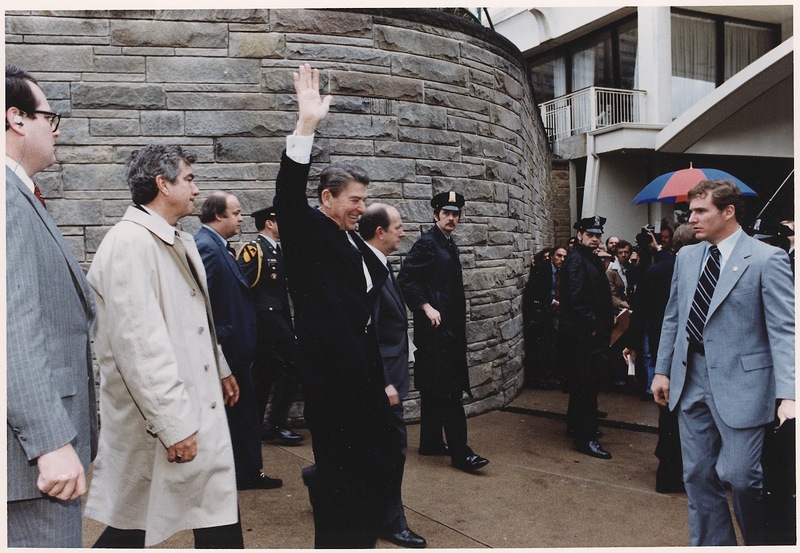 Reagan waves to the crowd; seconds later, John Hinkley, Jr shot Reagan in an assassination attempt. 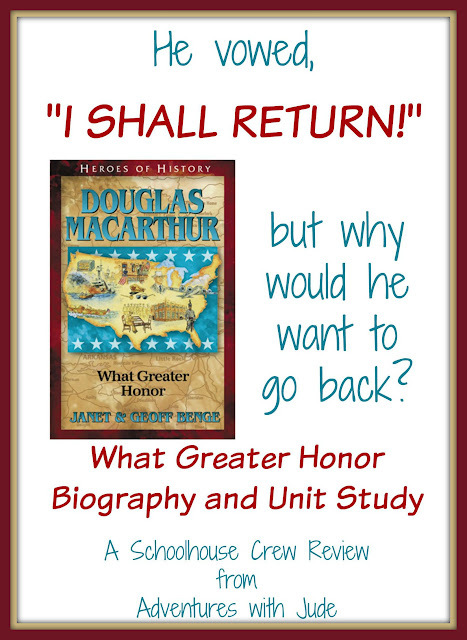 In the two years Luke has been studying American History, we have read several of YWAM's Heroes of History biographies. Each time we have enjoyed the well-researched stories, and this volume (and accompanying Digital Unit Study) is no different. This recounting of the life of President Ronald Reagan presents in the same format, beginning with a defining moment in the subject's life and then returning to the subject's early days. Here the opening chapter is entitled "Get us to GW!" and recounts the frantic moments following the attempted assassination of President Reagan, a mere 69 days into his administration. 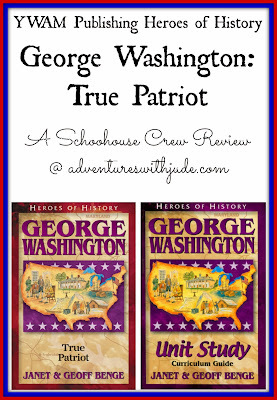 The chapter ends as Reagan slips into unconsciousness in the entrance to George Washington University Hospital and the reader is launched back to 1916 where a precocious five-year-old boy nicknamed Dutch is astounding his parents by reading the newspaper aloud. 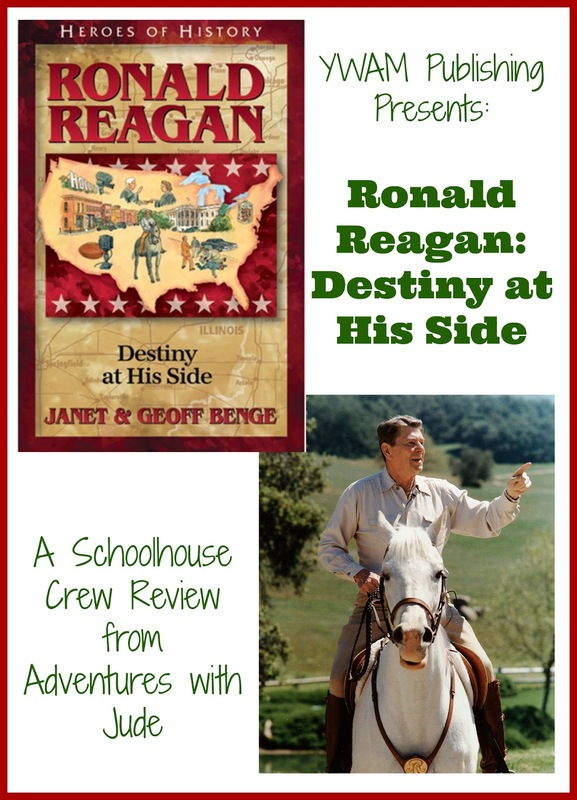 As the book progresses back to early 1981 and beyond, we learn about Reagan's impoverished and almost vagrant childhood, and his intense desire to pulls his family out of poverty. However, his desire to no longer be poor is not purely a desire to be rich, but to also provide for others. Reagan negotiates a plan for his brother to join him at Eureka College, and his motivation for wanting to do well as an actor and later television emcee is to provide for his family. Proof of this success was not the Malibu houses he once owned but the Rancho del Cielo he ran with his second wife, Nancy. 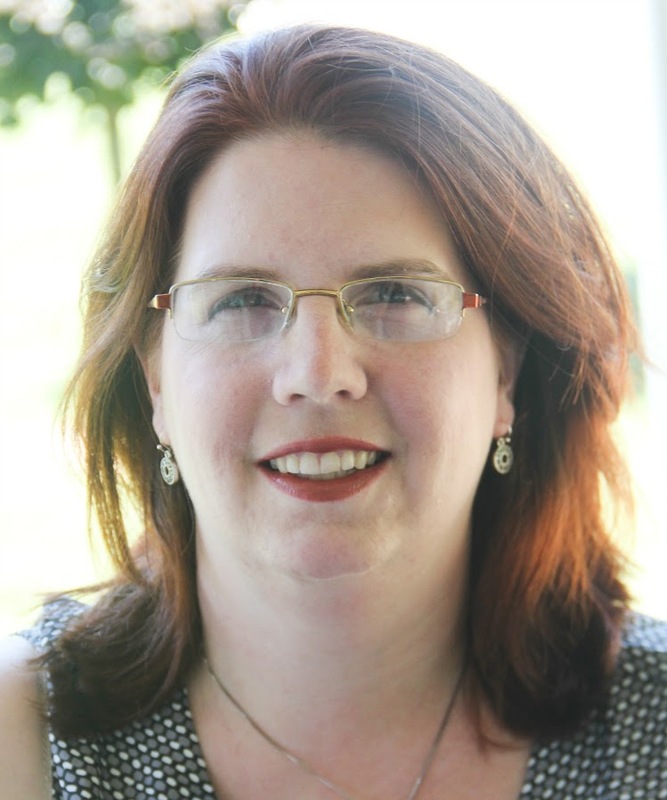 Authors Janet and Geoff Benges provide a detailed progression of Reagan's political ideals. This man grew up in an era where President Franklin D. Roosevelt was considered little short of a miracle worker, shepherding the nation out of the Great Depression. As Reagan grew older, though, he began to feel that the ideals of the Democratic Party no longer represented his philosophies. In 1964, he publicly crossed over to the Republican party. However, though he was aware that while the Democratic party no longer represented him, he recognized that staunch idealism - on either side - was going to leave the country in a quagmire. He openly brokered a cross-party agreement with the California Welfare Reform Act during his tenure as California's governor. While he may have eventually become the face of the Republican Party by the time he campaigned for the White House in 1980, the Benges show how Reagan never left behind the idea that the government didn't belong to the political parties but instead to the people. he wears bullet-resistant vests at all times while in public. The book doesn't shy away from the more controversial topics, either. It addresses the air traffic controller's strike, and Reagan's use of law, not emotion, to handle it. The Iran-Contra affair is discussed. Through this retelling, one can also understand that Nancy Reagan's seemingly lavish refurbishment of the White House was not only a First Lady's pride in America's house but a wife's attempt to create a place where her husband and visiting dignitaries not need to leave the building. After nearly losing her beloved Ronnie twice in the span of three days, she was understandably desperate to keep her husband and his visitors safe. 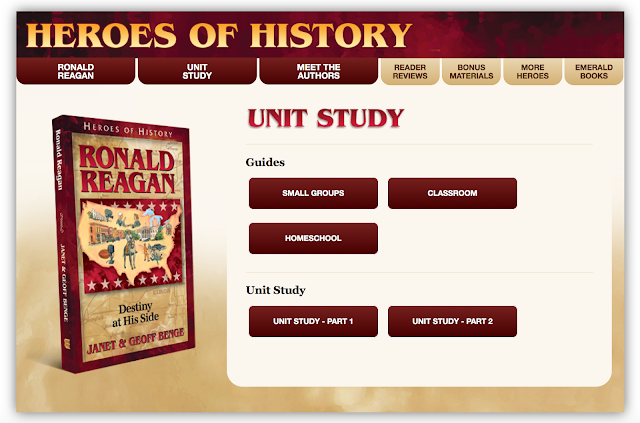 In addition to the paperback copy of Ronald Reagan: Destiny at His Side, we received the Digital Unit Study. This 82-page study guide contains chapter review questions, essay prompts, and suggestions for hands-on activities. There is also an extensive list of recommendations for supplemental books and websites, as well as videos about the life of Ronald Reagan. 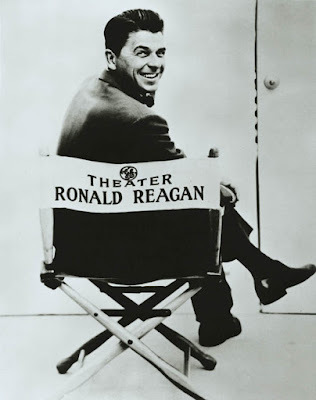 Reagan has an extensive movie career, and two of his most successful films are included, providing the release year, leading actors, and synopses for Knute Rockne All American and Bedtime for Bonzo. Luke has been using one of essay topics to craft an addition to his Luke's American Adventures series; look for that in the next few weeks! Ronald Reagan: Destiny at His Side is a biography of a man that many argue is among the greatest American Presidents. Authors Janet and Geoff Benge bring to the forefront Reagan's tenacity and resultant successes, yet deftly balance these high peaks with the equally deep valleys he experienced. They discuss how his father's alcoholism exacerbated the Depression-era poverty the family lived in, and how in an era where the dissolution of marriage was almost unheard of, his glittering Hollywood marriage to Jane Wyman ended in divorce, with the relationship torpedoed by war, work, and the death of a premature daughter. Through the books pages, we see the rise of a brilliant man that read at an early age, negotiated keenly, and spoke resoundingly. As old then as my daughter is now, I clearly remember when Reagan uttered his iconic statement, "Mr. Gorbachev, tear down this wall!" 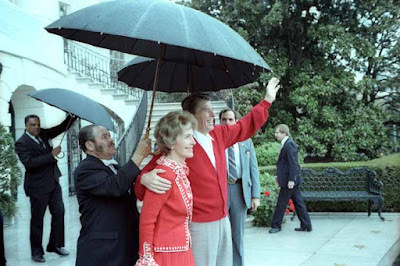 The book doesn't shy away from Reagan's final days: a man whose brilliance sadly became ravaged by Alzheimers' Disease, yet to the end was determined to control his destiny like the cowboy he came to be. For more about the Heroes of History Series, follow YWAM Publishing on Social Media, or click the banner below to read other reviews. 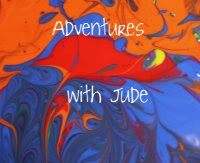 For reviews of some of the other books from the series that we've used, click on the title graphic.